American Moving Supplies’ (AMS) covers are manufactured with only the finest materials, these are used to create the highest quality covers on the market today. Unlike competitive pads that typically last 3-5 years under normal use, AMS covrs will generally last longer due to added quality features such as high count cotton/poly woven fabric, zigzag lock stitching, one-piece linear batting, and 4 finished corners. Our form-fitting furniture covers are the only ones in the industry to be guaranteed color fast as they’re made with our premium quality ProFormer material. 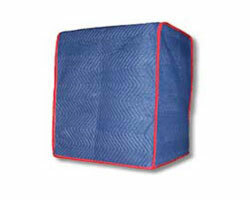 They quickly slip on and off large furniture pieces to offer protection without sacrificing productivity. They can be easily used for either transit or storage. 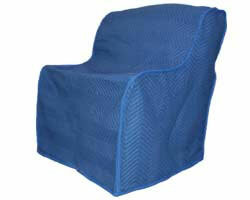 American Moving Supplies is setting the new standard in furniture protection. We protect your assets! 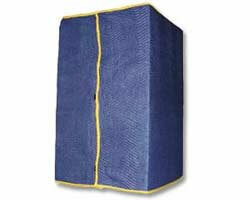 Fitted Refrigerator Cover with hook and loop fastener straps and Yellow Binding. 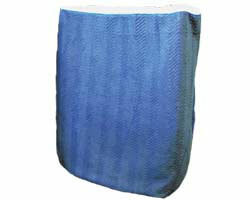 Fitted protection cover for all AMS appliance hand trucks. 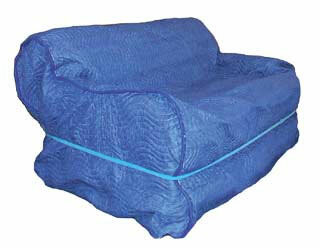 It also comes with adjustable hook and loop fastener straps for aÂ firm hold. Fitted protection cover for "The Green Thing" steel handtruck.Â This has also been designed to work with mostÂ standard hand trucks. 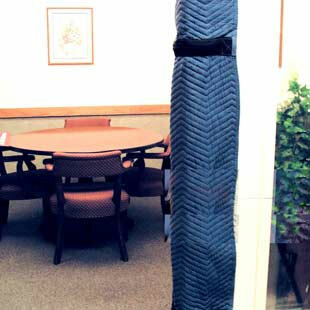 Size: Fits 45" and 52"
Protect doorways from dents and scratches and increase your ROI by reducing damage claims.